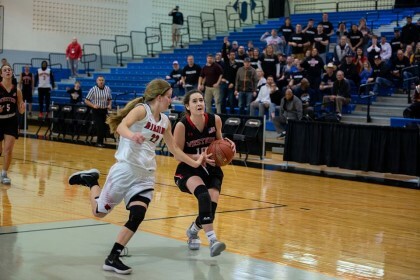 Western Technical College’s women’s basketball team placed fourth at the 2019 NJCAA Division III Women’s Basketball Tournament in Bethlehem, PA last week. In the quarterfinal round, the Cavaliers defeated four-seed Hibbing Community College 62-53. Caitlin Young led the team with 19 points, 15 of which came from the three point line. In the semifinals, Western lost to one-seed and defending national champion Hostos Community College 68-47. Kerrigan Lyga led the team with 18 points. In the third-place game, Western came up short to two-seed North Country Community College 72-68. Despite being outscored in the first half, Western came roaring back in the 4th quarter. Young once again led the team with 15 points. Despite losing their final two games, Western received several accolades at the event. Young was named to the all-tournament team for her performance. Given their strong fan following and commitment to supporting the game, Western also received the sportsmanship award. Congratulations to all for a fantastic and record-breaking season!